Weekend is almost knocking on the door and for those lucky of you it means a well deserved time off. I will save myself this privilege for Monday and Tuesday. Which is actually a really great time to be off as there is less people everywhere. Which really suits my introverted self. However, back to the weekenders. 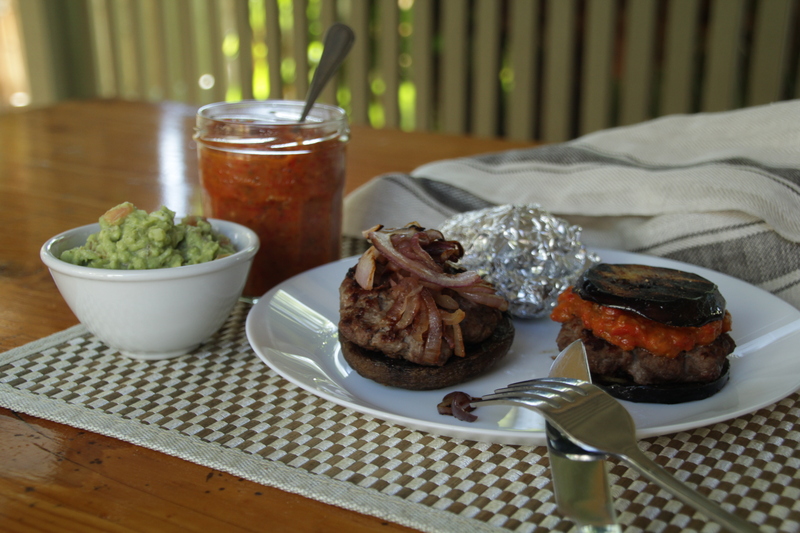 I’ve got a great recipe for you to try this weekend for Kangaroo-Beef Burgers. 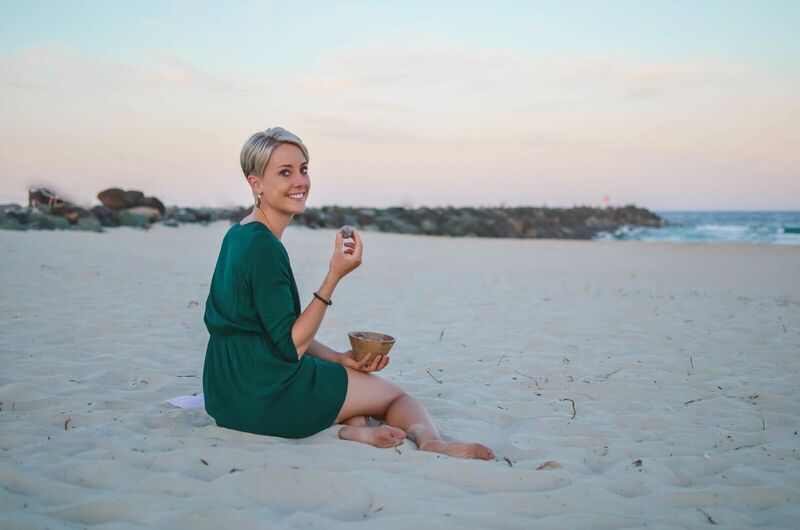 Because it looks like I’m adapting to the Aussie lifestyle slowly. Well, certainly when it’s about food and BBQ. But what is better than a BBQ with friends and family when the weather is so good? And what is better than a decent juicy burger? This recipe is using half minced beef and half kangaroo which I found as a great source of protein here in Australia. The price is more than friendly for a good free-range meat from an animal with a natural diet. Anyway, the kangaroo mince itself can be a bit too gamey for some people, that’s why I still give space to beef in this recipe as well. And if you can’t imagine eating kangaroo at all, you can swop it for a lamb, which would go with the beef well too. 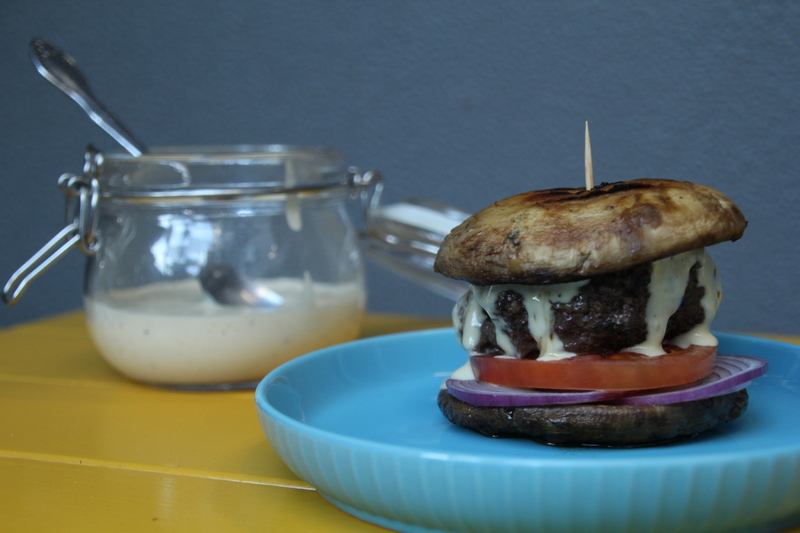 You can serve the Kangaroo-Beef Burgers on a classic bun if you prefer, but if you are looking for a healthier version lower in carbs I would recommend grilled portobello mushrooms or grilled eggplant instead. They will transfer the burgers to a completely new level. And of course don’t forget to try the burgers with some Ajvar (great with the eggplant) or Homemade Smoked Garlic Mayonnaise (great with the mushroom), both go with the meat just perfect. What is better than a BBQ with friends and family when the weather is so good? And what is better than a decent juicy burger? Place a small pan over a medium heat, pour about 1 tbsp of oil in and let it heat. Place the diced onion in and sautee it until it will have nice golden brown colour. Transfer the caramelised onion in a bowl and add all the other ingredients. Mix everything together with your hands properly. Use your hands to make small burger patties out of the mixture. Grill the burgers on a BBQ or a grill pan with spoon of oil on a medium heat. Serve with grilled eggplant and Ajvar sauce or portobello mushroom bun with Homemade Smoked Garlic Mayonnaise and vegetables of your choice. You are so adventurous with your cooking Dagmar. I do like the sound of the sugar-free peach tartlets though. The four of us still need to get together so that we can meet & catch up with you & James. Thank you Bruce. We should definitely plan something.